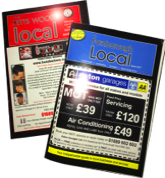 TO THE HEART OF THE LOCAL BUSINESS COMMUNITY.."
..."Advertising with the Farnborough Local has always been a cost effective way of getting enquiries through." .."the design of our ad's never needs much in the way of altering. Simon and his team know what we're looking for when it comes to getting the message over..."
.."consistently good results through our advert..."
FARNBOROUGH LOCAL incorporating THE PETTS WOOD LOCAL. Welcome to the Farnborough Local. 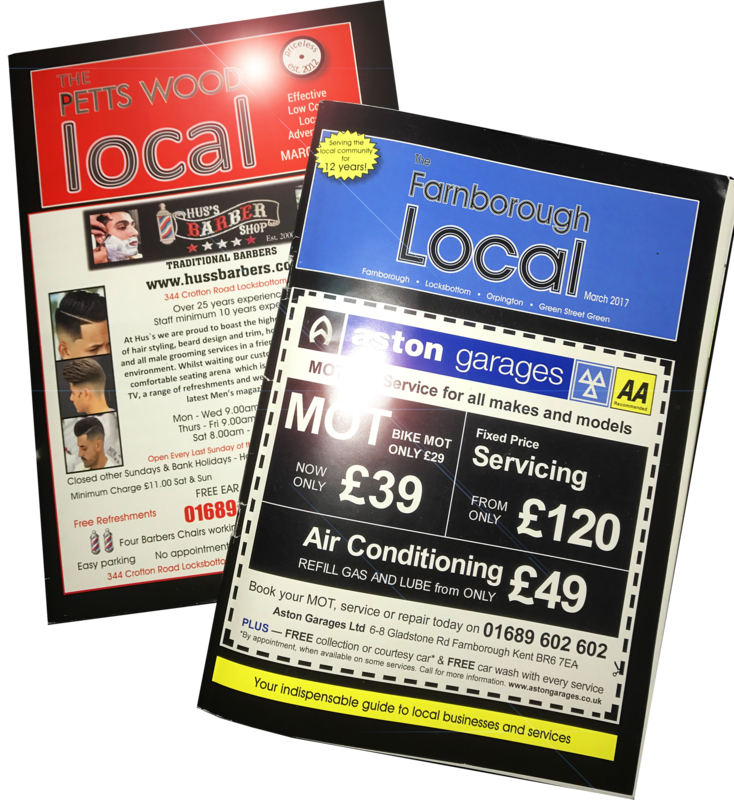 A community magazine and business directory for the residents of Farnborough and the surrounding areas, including Petts Wood. Two well established monthly magazines offering access to 10,000 households and businesses every month! Just call or email us what with you want your advert to say, and our design team will produce a proof for you to approve. Once you are happy with your design all you have to do is confirm we're good to go, then sit back and wait for the 'phone to ring, or the email to come through! "We at Worldwide Auctions Ltd have used The Farnborough Local for over six years and continue to receive great response from our ads.The Farnborough Local are very friendly and have offered some great advice over the years on layout and presentation of our adverts.We have a good level of enquiries that pay for the advertising cost several times over!"